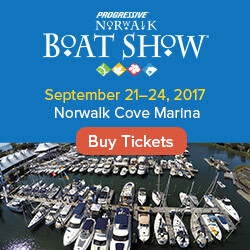 There are nautical events on both the northeast and northwest corners of the lower 48, and several other boat shows happening this weekend. We'll start with the big one. The Seattle Boat Show starts today (Thursday) and runs through Sunday at Shilshole Bay Marina. There are two nautical events in northern New England this weekend. 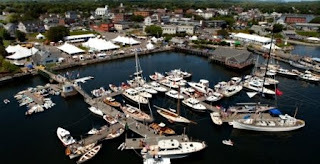 You can celebrate the lake at the Lake Champlain Maritime Festival today through Sunday in Burlington, Vermont, or you can enjoy the coast of Maine at the 8th Annual Maine Boats, Homes & Harbors Show in Rockland, Maine. The Les Cheneaux Islands Antique Wooden Boat Show is this Saturday in Hessel, Michigan. If you stayed in South Africa for several weeks after the World Cup, and you like boats, then you're in luck. 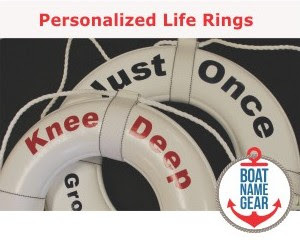 This weekend South Africa's biggest boating event, the National Boat Show, comes to the Coca-Cola Dome in Johannesburg. Stick around for that, then go home! For more info about all of this weekend's events, including a flip flop regatta in Boston, visit our boat show calendar.